Summer and the warm temperatures are finally here for the northern hemisphere of the planet. The 4th of July celebrations were last week as America cheered on it’s independence from the British. We hope everyone had a happy, safe family get together or cook out as the nation remembered the historic day when the Declaration Of Independence was completed with those famous signatures. As always, we are here to bring you reviews from some of the best DJs currently out with the hottest mixtapes for your listening pleasure. 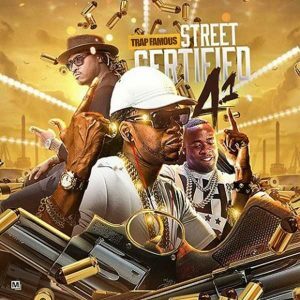 Trap Famous is back on the scene with part 4.1 of the “Street Certified” music download collection. This installment in the series plays you new songs by Jay-Z, Lil Wayne, Swizz Beatz, Rick Ross, Ace Hood, Young Buck, B.o.B, Slim Thug, Akon, Big K.R.I.T., PARTYNEXTDOOR, Jeremih, Fred The Godson, Dave East, G Herbo, Bitta Blood, Ca$h Out, Fetty Wap, GZA, 21 Savage, and much more on this 28 song playlist. These DJs are one to keep an eye on as they start to heat up the streets and internet with products full of exclusives. 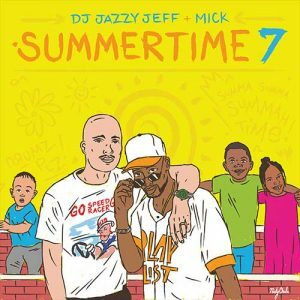 DJ Jazzy Jeff and Mick Boogie are back again this year with another edition of their summertime mixtapes. Number 7 in the franchise gives you 46 vintage free mp3 downloads from artists such as Lisa Lisa and The Cult Jam, Vanilla Ice, Jay-Z, Total, Jill Scott, Norah Jones, Bill Withers, Tony Toni Tone, De La Soul, Salt-N-Pepa, Big L, EPMD, Mad Lion, Foxy Brown, Puffy Daddy, Ma$e, Eric Clapton, Mary J. Blige, Pete Rock, 50 Cent, TLC, Outkast, and many more classic acts. These DJs put their own spin on these throwbacks with remixes and blends to give the tracks a new sound. DB Product releases part 3 of the “RnB Source” music sessions. These mixtapes are packed with the newest music that everyone can enjoy. Look for tracks on this edition from PnB Meen, Victoria Monet, Eric Bellinger, Post Malone, Rihanna, Pleasure P, Jeremih, T-Pain, Dreezy, DJ Mu$tard, Roy Woods, Usher, R. Kelly, Drake, Kevin McCall, Shawn Harris, Tory Lanez, Ro James, Keke Palmer, Lion Babe, Lloyd, Bryson Tiller, and other industry performers on this 47 song playlist. 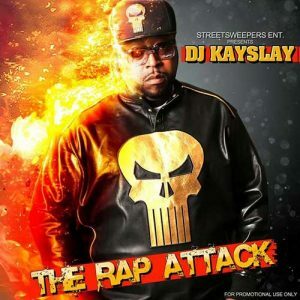 DJ Kay Slay returns to the game with another official project labeled “The Rap Attack”. This release contains 18 free music downloads. As always, you’ll find some of the hardest street emcees on this DJ’s mixtapes. Check out lyrics on this product by Sheek Louch, Papoose, Jon Connor, Redman, Saigon, Bun B, Raekwon, Loaded Lux, Chris Rivers, Mistah Fab, Vado, Fred The Godson, Uncle Murda, Tone Trump, The Outlawz, Maino, Trick Trick, Murda Mook, JR Writer, Termanology, A-Mafia, and many other hip hop artists. 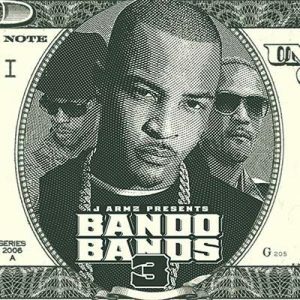 Finally, J. Armz is back on the scene with part 3 in the southern collection that goes by the name of “Bando Bandz”. This edition brings you a 24-track playlist containing only the best music coming out of the south currently being played over the airwaves, on the club dance floors, and at concerts. Be sure to use the “Suggested Mixtapes” feature on the site to check out all of this DJ’s products. Some of the artist to be on the lookout for on this installment include T.I., 21 Savage, Juicy J, Young Dolph, Lil Uzi Vert, Ace Hood, Travi$ Scott, Lil Wayne, 2 Chainz, Master P, Future, Young Greatness, and more. That’s all we have for this edition of blog post reviews. We hope these titles will help you to determine which songs to bring along with you while you’re out on the beach soaking up the sun and enjoying the ocean. Load our site on your mobile browser anytime if you’re on vacation, away from home due to work, or exercising at the gym. We always have your back for the best new music in hip hop and r&b. Also, for you reggae heads, you can be sure to find those jams on our site. Just go to our search page and type in the genre ‘reggae’. This will bring up all of those releases in that genre.